From the beginning, the Personal Year number in Numerology has helped guide me and offer clarity and direction to my clients. With simply adding the month and day you were born to the current year, you can figure this out too. 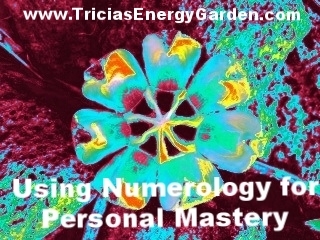 The very first and only numerology workshop I attended laid this concept out. It totally blew me away! I did the math and looked up at the board. I’m in a 7 Year which means it is a time to withdraw, study and spend time alone. This was such a relief, this was EXACTALLY what I was doing. It was the REASON I was at the workshop (to study)! I felt a bit obsessed (and guilty!) about my self-induced study habits as I would read every spiritual and self help book I could get my hands on. I’d spend hours writing down my dreams and doing Google searches for their meanings. I’d sit half the day in the library studying the many forms of deviation, learning about Reiki and other healing modalities. Doing readings early on for family members helped me hone my chops. One specific reading sticks out in my mind about the Personal Year 9. Looking at a chart, I could see that a major shift was coming for a niece in 2015. It was going to be a Personal Year 9 for her, which meant something was coming to an end. Her Pinnacle was shifting from a 1 to a 4. This baffled me as I would interpret the one as being independence and the 4 being building family or a family responsibility. She also had several 6’s in her chart which is about being domestic, further confusing me since I knew she didn’t want children. I contemplated how to tell her what I was interpreting and decided to pull some Life Purpose cards. I pulled 3 cards all relating to children. As I stood over the cards trying to make sense of them, “Well maybe it means you give birth to a new project?” “Maybe you’ll be taking care of something important?” I was really fishing to find another meaning besides you’re going to have a baby. She finally smiled at me, “I know what it all means.” She whispers, “Don’t tell anyone yet, but I want to have a baby. We want to start a family.” Update: Her daughter was born in 2015, just like the reading had indicated to me. In my book, I use the Personal Year to help set fitness goals – using the support for the year to really amp up your resolve. In “B is for Business” post, I teach you how to use the Personal Year Number to help with business goals. Let’s see where you are at. Do the math below and scroll down for your Personal Year Number. Add up all the digits until you get a single digit. Here is a mini Personal Year reading for you. May you all allow yourself to go with the flow of these energies. If you’d like to know more or would like to see how they relate to other cycles in your chart like your pinnacles (turning points) or life cycles schedule a reading with me. The 9th month. As is the Life Path of a 9 a humanitarian one, the month of September will bring on a feeling of oneness with everyone. A connectedness that may not enjoyable to all. Like when a co-worker or mate is around your neck or a parent is riding your back. It is this connectedness thatcauses us some 'ta-do' and we are here this month to get it 'ta-done'. Take a look at your forecast for this month and spend some time with it. Just as the scientist are discovering that attention to something changes its behavior, you too will soon discover that your attention to matters will make a change. School is in session kids! For this month I invite you to look up all three (or four) of your digits and follow the instructions there. Do some homework, you’ll be glad you did. Also practice that penmanship and hand write your answers. In the example above the total was 27 so this person would look up 2, 7 and 9. 1 Life Path- (Creativity and Confidence) –When a 1 wants to get something done they just need to think about it often during the day. They will condition their brain to consider it as part of them. It won't take long before a 1 brain will begin a new habit. The trick is to keep whatever it is that is wanted close to the heart. Meditation, daily affirmations and any other daily reminders will help. The more organic they are the better. An intention instead of an alarm clock, a handwritten note instead of a phone generated reminder. You’ll connect to your true self better this way. 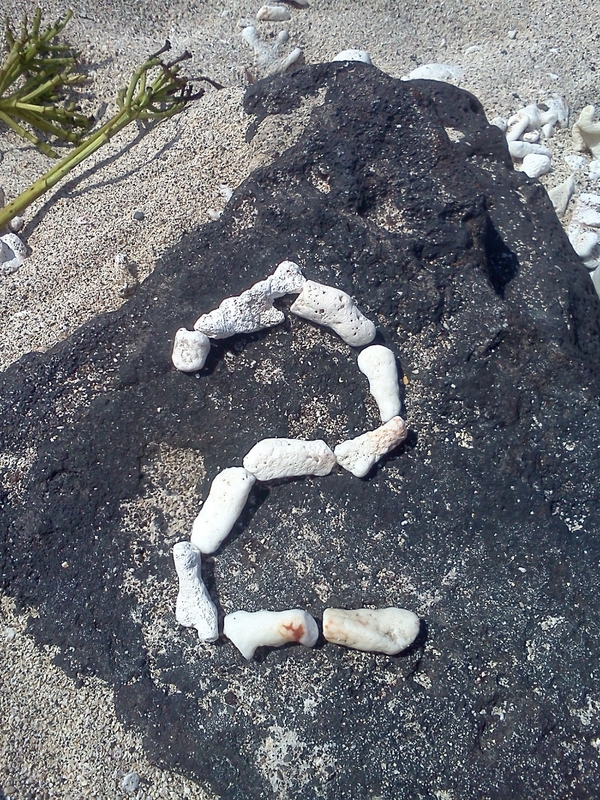 2 Life Path-(Cooperation and Balance)- 2's are so very sensitive and they forget that that is what makes them special. They wish their sensitivity away- no bueno. It is when they allow their sensitivity that they are truly themselves. A good exercise for 2’s is to write down all the things they find good about their emotions. How emotions keep them safe when they feel danger, when emotions connect them to their children/family/friends and all the ways they appreciate ‘feeling’. Keeping a diary just for this purpose will be very helpful. 3 Life Path- (Expression and Sensitivity) – 3’s really need to express what they are feeling but also need to be careful not to dump it on others. Their emotions are powerful indicators that are there to teach them about themselves. Each emotion they experience is a window into their soul. Homework for you is to explore each one of these that disturbs you the most. Angry at a co-worker, explore ‘why’. Upset at your mate, write down why and see where it leads. You are a culmination of all that is important. Heed your emotions as a guidance system. A guidance systemthat you asked for, one that will lead you where you want to go, one that will set you free. 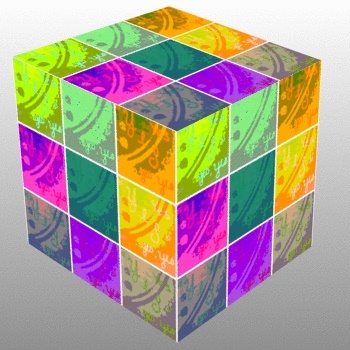 4 Life Path- (Stability and Process) – Building is in a 4’s repertoire. They can build a wall faster than anyone to keep everyone out. They make good hermits but this does not serve their highest and greatest good. A good way to deal with those reclusive feelings is to identify the resistance. What is it about where they need to go bothers them? What is it about people that bugs them? When they explore this they will resolve it. What you resist will persist so until you figure it out or stop worrying about it, it will nag at you. 5 Life Path- (Freedom and Discipline) – 5’s have avoidance in spades. They like to avoid the things that are difficult for them. They do not understand that by doing the things that are most difficult the road to less resistance will appear. If a 5 wants to have an easy time at work they need to focus on what it is they like least and find a way to like it. Although this might be difficult, just by considering what you like about it will change the energy of it. Take the least enjoyable thing about your job and do it first thing in the morning- a jump start to a great day! 6 Life Path- (Vison and Acceptance) – The unconditional love of the 6 sometimes gets in their way. They love things to death. They need to back off the things they love a little bit. Give room to things to grow and change. By holding onto things, 6’s create a disharmony. Loving something does not mean having it in their life all of the time. Allowing things to move in and out is true unconditional love. Yes, this takes lots of trust but the things that a 6 are meant to love the most just might need to be the furthest away. 7 Life Path- (Trust and Openness) – The truth will set a 7 free but that is the rub. This is the most difficult thing for a 7 but that is because it is what you are here to learn. Trust, honesty and above all wisdom to know the difference. The difference between truth and non-truth. Not lies per say but just knowing what does not serve you. What in your life does not serve your greatest and highest good? What would you like to have less of? Less chaos? Less gossip? Less sass talk? Only you know the answer (truth) so sit with it for a awhile and see what comes up. 8 Life Path- (Abundance and Power) – You can advance at a high speed, you can also recede very quickly too. Be mindful of this in regards to your thoughts. What is your mind saying? Are they positive statements or derogatory? It does not matter who or what these statements are about, they just create more negativity. Pick something that is causing you some anxiety and try hard to find something positive about it. If it is a person that is especially irritating try to recall what attracted you to this person in the beginning. If it is a work situation that seems out of your control, consider how you could creatively solve it or what it would look like when it is resolved. We are only given challenges that we can handle. 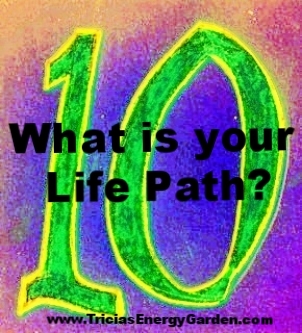 9 Life Path- (Integrity and Wisdom) – Shoot, you may have used all your ammo last month. That is to say that you may have been making the wrong fight. You don’t understand this now but the things that are bothering you are what you need to know in the future to make your decisions. You need to start asking hard questions, of yourself and of others. What are you here to accomplish? Not just to get by but the big picture type of accomplishment? We cannot say if the month of May was a success or not. There was so much change that the debris from the month is still settling. You may have had a hard time and the month of June has you wanting to sit and chill out. There is a purpose for all of this. The big change and then time for a rest and retreat. Ah! All the ‘re’ words are appropriate as Mercury in Retro reminds us to slow down and retreat, review, relax…you get the idea. We are going to change things up this month and give you a taste of “Health and Wellness by the Numbers”. This is a supplement to the Fitscope post awhile back. Those of you who have sworn off exercise, you really need to pay attention this month. The thing that you need to understand is that this information is coming to you for a reason. Your health is so very important and you need to make it so. No more putting it off. It is time to start. This is also a personal approach, not a one size fits all, so it will be personal for you.. If you have been at the fitness routine for some time – it is time for a change. You need to get yourself out of the rut you are in. I’ve added a few tidbits about diet, please take them into serious consideration. It won’t kill you to try it and it will go far in helping you to maintain your weight. If you need to lose a few pounds pay attention to that. Your doctor might not tell you that your weight is the cause of many of your woes but I’m going to tell you. Get Fit, Get Fabulous, Get Fantastic! To calculate your Life Path Number, add all the digits of your birthdate until you get a single digit. For example November 30, 1975 is calculated: 1+1+3+1+9+7+5 = 27, 2+7 = 9. This person’s Life Path Number is a 9 so they would scroll down to "9" to find the Numeroscope message. 1 Life Path- (Creativity and Confidence) – Please take your physical health more seriously then you have been. You will be expecting to take on a bit more (1’s are leaders and people FOLLOW them!) and stamina is required. Go back to the Fitscope and review your reading then add those activities to your calendar now. As for diet, you have been considering what needs to go (caffeine, flour, sugar, dairy)- they do need to go. You will be so glad you did this for yourself. Combining new workout with your new way of eating will sure to make others heads turn….and those heads will ask you what you are doing to look so fabulous. 2 Life Path-(Cooperation and Balance)- When twos come to the conclusion that they need to make changes, they need to have support around them. They need to have a small community in support of their goals. Join a group or just enlist the help of close family and/or friends. Two’s need to keep in mind they are not changing others, they are just asking for support. The friend that always asks you to go for coffee or ice cream will need to stop doing that. The family member who insists that you bring your famous dessert to the party needs to know you will no longer do this. You’re right, they won’t like it but it’s what is best for you that matters. Take care of yourself so you have the energy and longevity to take care of others. Please reread the Fitscope for exercise suggestions. 3 Life Path- (Expression and Sensitivity) – Threes are the best at organizing others but when it comes to yourself you have trouble seeing what is important. There really isn’t anything more important than your health- is there? You can keep putting this off or you can start today. It is best that you make an honest attempt at it. No more fooling yourself and thinking that you’re doing alright. A body needs to be free of pain, not carry extra weight and have energy all day long. If this is not your current situation, get real with yourself. It is your sensitive self that eats, not your physical self that is asking for it. What does your sensitive self need? Answer that question and you will be on your way to great health. 4 Life Path- (Stability and Process) – You are the kings and queens of creating a workout format! This however is not all you need. Fours also need a venue where you can teach what you have learned. You will get further if you share what you have learned about fitness. You can help so many and help yourself in return. On the small scale this is a group of friends or family that go for a hike instead of out to lunch or to the bar. On a big scale this is a fitness job. What seems more doable at this time in your life? Start now. As far as food intake is concerned, if you think you might be making some not so good choices, start writing down what you eat so you can see for yourself. If needed, take it another step and seek a nutritionist or start studying. If you have some health concerns; difficult menstrual cycles, pain, or indigestion, start investigating what foods can cause these disruptions. Your body can be pain free and it deserves to be. 5 Life Path- (Freedom and Discipline) – “Well it won’t be long now”, said the monkey who cut off his tail. Are you ready yet? I hope so. You need to start that exciting new fitness program now. Make it exciting. Be sure that it is not too regimented. Fives tend to push too much in the beginning and longevity is needed in this pursuit. As for food- you know what needs to go and you know what you need to add. I could tell you but it won’t help. You must be true to yourself and stop eating those things that do not serve you. When you have a weak moment get outside, fives need more nature. You can find support in reading/connecting with others who share your woes. Reread your Fitscope for ideas. 6 Life Path- (Vison and Acceptance) – When the time has come for you to put some serious thought into these healthy changes you will be back here looking for support, I will be here. Those who are ready now can start by offering themselves a hug. Sixes need more self-care or there won’t be anything left for others. You just take on too much of other peoples stuff. Time alone is necessary to decipher what is important. All the information in the world is not going to help you until you are ready. If you need to think, it is best that it be outside so now is a good time of year to start this health and wellness business. If you think of it as a business and getting yourself healthy is the goal, you will have a much better time of it. You are now the CEO of your own health club. What rules will you institute? Will you allow other members? What foods will you allow at your health club? You will be in charge of this club and you’ll have a great time looking at it this way. See your Fitscope for more exercise ideas. 7 Life Path- (Trust and Openness) – Sevens are able to write this section by themselves. You know what you need but your problem is procrastination. Decide when you want to start all of this. There will never be a perfect time and if you are telling yourself it is time to start then listen to that inner guidance. You will be able to make all the changes you need with your health and wellness. Help others too. But first you must begin…that is all…just begin. What is it that stops you? Is it your fear of quitting? Trust me, you will not. You will start your plan and you will keep up with it. You are a seven and that is what sevens do, they finish what they start. As for food, get more education on this to deepen your connection with yourself. Your body is telling you what you need but you can cannot hear it right now. Trust that your body is talking and take time each day to ask it questions. It will answer you- it will. 8 Life Path- (Abundance and Power) – So what are you doing with all that extra time of yours? I hope a significant amount of it is making sure you are healthy. You could manage a multi-million dollar contract without breaking a sweat. (Most of us would faint.) Apply this same nonchalance in finance as you do to your own body. It is very simple what your body needs, YOU make it complicated. You are very attached to things. In the boardroom you’d have your wits, your pen and a piece of paper. You would be alert with your eyes and ears open wide. These are the tools you need for your health and wellness. As for food, writing down what you eat will help in the beginning. Be careful of the things your substituting, again don’t get complicated. Eat simple organic meals, no more than three ingredients is a good base line. You can do this. 9 Life Path- (Integrity and Wisdom) – Nine, nine, nine. That is ‘no’ in another language, isn’t it? That is no coincidence here. You don’t like to be told what to do or that you’re doing something wrong. Most of the time you don’t do anything wrong but when it comes to your health and wellness you may have dropped the ball. You need to stop worrying so much about others and start thinking about the changes you need to make. When you are ready to start, nothing will stop you. If you do start, you will be blow away by what others will say. They do look to you for wisdom, share your knowledge of health and wellness by taking care of yourself first. You know what needs to be done, don’t wait, start now. Most 9’s can eat what they want, just make sure it is quality food. You may need to cut back on sugar but you know this already. The health problems may not be evident now but you could avoid many problems down the road. July, the seventh month of the year encompasses: introspection, enlightenment, independence, truth finding, and even spirituality. Did our Founding Fathers understand the energy of seven in choosing the month of July as the “birth” of our nation? Thomas Jefferson eloquently wrote his thoughts on how he envisioned independence for the States. One man sat with his thoughts, the thoughts of others and created a beautiful gift for all of us. The energy of July, asks you to take time out this month to contemplate. What is your truth? What will set you free? Just as Jefferson so humbly took on the task to outline our nations freedom wishes, can you take the task on for yourself? What is your declaration? What direction will you pen for yourself? What rights would you like to invoke? Spend time alone this month and do some soul-searching. Use the reading below as a catalyst for your introspection. There is an immeasurable and intoxicating amount of freedom in knowing who you are and where you are going. Let Your Freedom Ring! To calculate your Life Path Number, add all the digits of your birthdate until you get a single digit. For example November 30, 1975 is calculated: 1+1+3+1+9+7+5 = 27, 2+7 = 9. This person’s Life Path Number is a 9 so they would scroll down to "9" to find the Numeroscope message. For those working the 10, 11 or 12 path, I have added those. PS Our nation’s date of birth is a “5”. Five is the energy of freedom and change, freedom and change indeed! 1 Reflect on your body. What does it need? Have you been giving it adequate rest, quiet and calm? The proper nutrition and exercise? Go out in nature to connect, listen to your body’s wisdom. 2 Is there something in your life that has come to an end? A job? A relationship? You may not be ready but know that as soon as you are ready to accept your loss the gifts that do serve you will appear. 3 Sit. Ask for courage. Then ask yourself what the problem truly is, with no need for blame. Your waistline too big? Your bank account too small? Once you do this your Higher Self will find solutions and you can make the changes that are necessary. 4 Is there something going on around you or within you that isn’t quite right? Be aware of others deception as well as your own tendency to deceive. Deceit is usually thoughtlessness or fear and most often a means of self-protection. Trust your vibes. Have courage and integrity to be honest. 5 Tune into your own inner knowing. Your awareness is become more evolved than just basic intuition. Record your dreams, believe in messages, trust what is coming to you. 6 If you are experiencing emptiness or boredom it is your soul telling you there is something more. An unexpressed talent or creativity along with the love in your heart is wanting to be shared. 7 Admit your injuries and disappointments, move toward forgiveness. It is now time to heal, learn and grow. 8 Allow the Universe to complete some tasks for you. Overdoing is fear in disguise. Take some time to rest. 9 If you are discontented or frustrated take that as a sign to learn more, expand more, dare more, and create more. What do you like to create? 10 Looking for kindred spirits? Know that you do not have to go it alone. Your soul is seeking kinship. Join a club, enroll in a course, or sign up for a team. 11 All is well. Your past has left you with a deeper capacity to love. Use that to go beyond personal love and include all humanity. Others will see you as a source of contentment. 12 Do you need a break? Do you feel the need to take a delicious retreat? Listen to your inner wisdom. Take time now to sit in quiet reflection. Write, meditate, seek counsel and allow yourself this time every day. Make time for yourself. I will bring you this guidance the 4th Monday of each month for the following month. The next free monthly reading for August will appear Monday, July 28. If you want more information on your Life Path or Numerology send me an email at theenergygarden@outlook.com . I will send a free mini Life Path reading to the first person who sends me a request. Anyone who makes a donation (heart icon on lower left of each blog page) will receive a free mini reading as well. Just send me an email to confirm the date/time of your donation.